We’ve got a tradition going on on Team Fun Leadership where the birthday girl gets to pick where we ride that week, which fairly means that a lot of groaning and gnashing of teeth will be going around when my 41st comes around in November. Just saying! 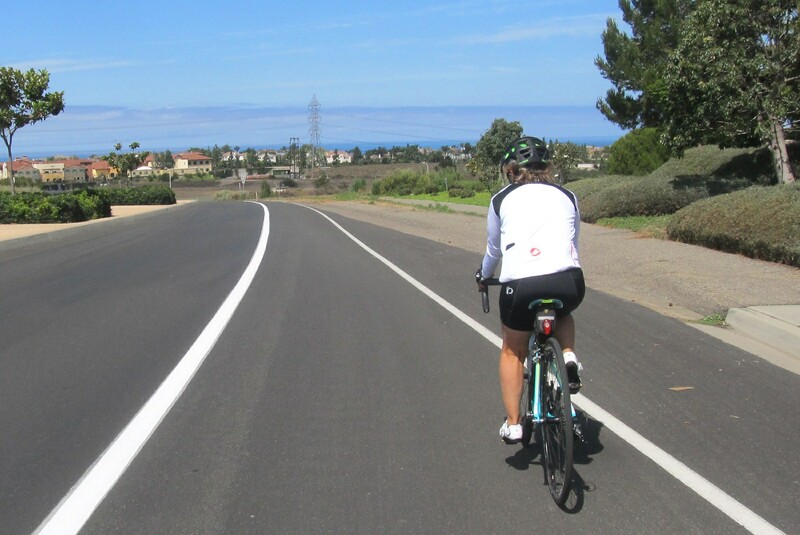 Anyhow, our beloved Jillygoat was the one putting another candle on her cake last weekend, and her choice of route was a Heather B special that somehow squeezes out a whole lot of elevation gain per mile without straying very far inland from the scenic Encinitas coast. A vintage Team Fun route! Thirteen fun gals were on hand for the occasion. Seven went with Jill for the full dose of fun and four (Erin, Melissa, Miki & Rachel) join me (Michell) for the more abbreviated C ride. Rachel and Erin taming the Quail Hollow dragon. 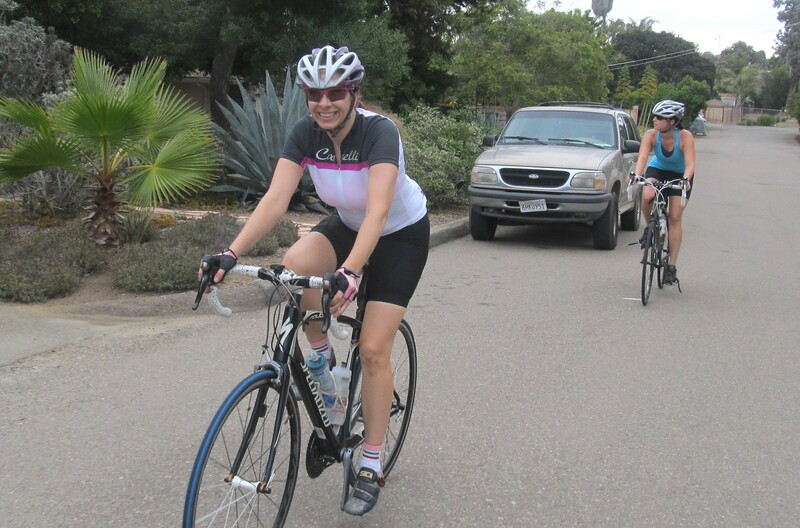 Miki on her new bike is a potent combination on the hills! Exploring unfamiliar neighborhoods is a tremendously fun thing! 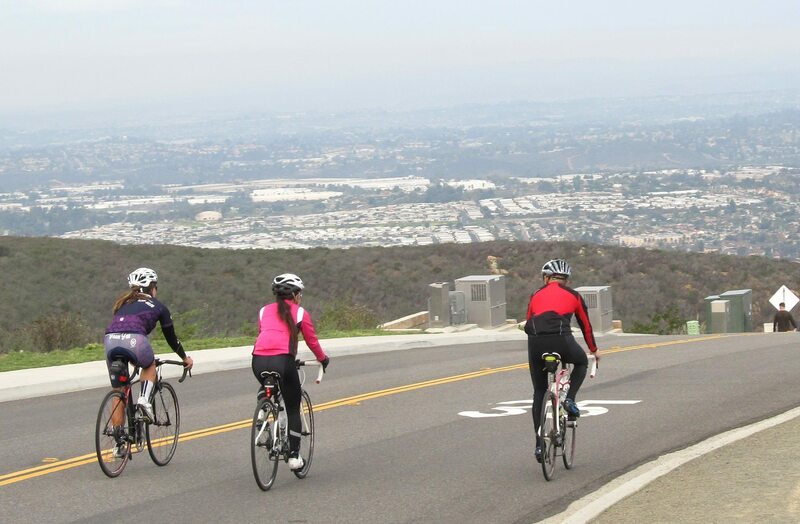 We were quite grateful that the marine layer stuck around long enough for us to clear the Quail Hollow Dr climb before the sun came out to play. 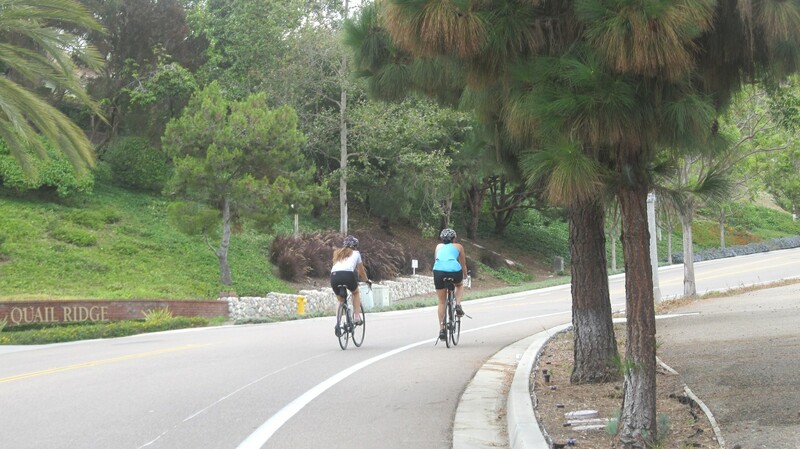 The downhill run by the San Dieguito Heritage Museum and San Diego Botanical Garden was seriously fun, and the scenic and sparsely trafficked roll through Encinitas’ side streets was a big hit especially for our new riders who had only stuck to the main roads before when riding through the area. 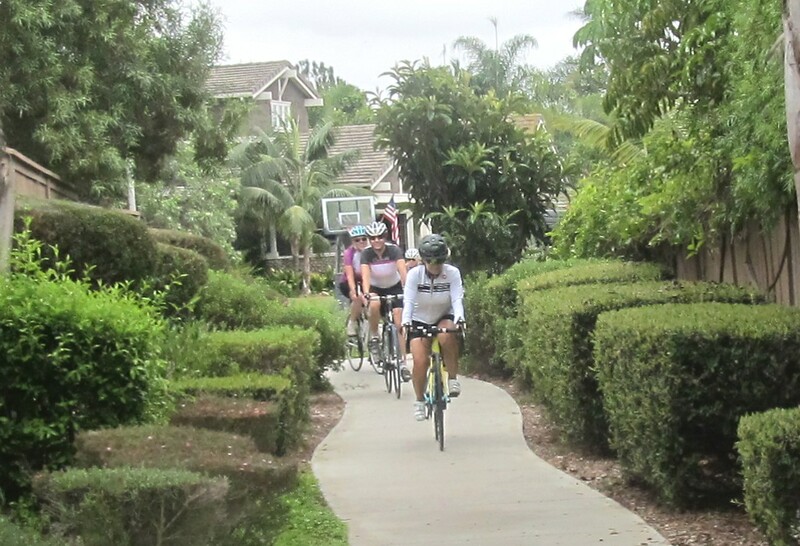 A neighborhood passage in Encinitas. Erin & Melissa fighting the good fight on the Batiquito rollercoaster. 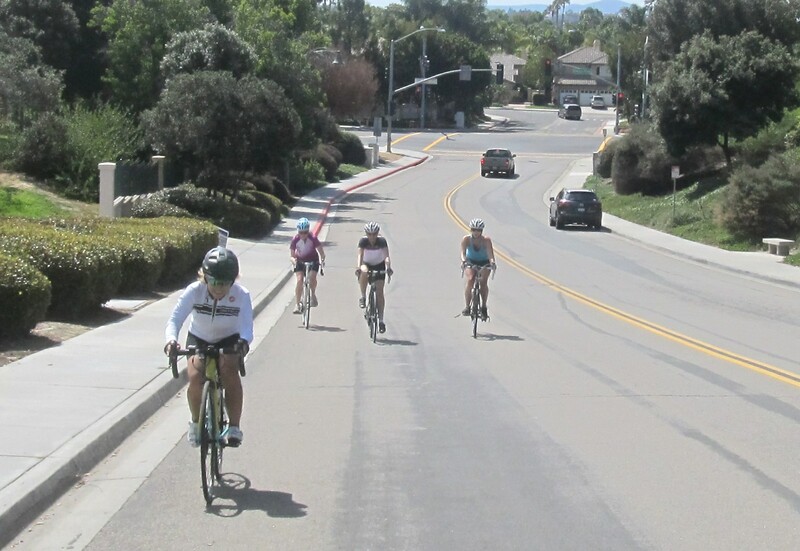 C group, racing my lengthening nose up another climb on Ambrosia Dr.
After the initial loop down to Encinitas the route passes our start point on Avenida Encinas where we stopped to see if anyone wanted to call it a morning, but nobody would bite. The Batiquito Dr rollercoaster was on the menu and we just couldn’t pass on the opportunity to use every single gear on the bike in the course of its 2.4 mile run east. 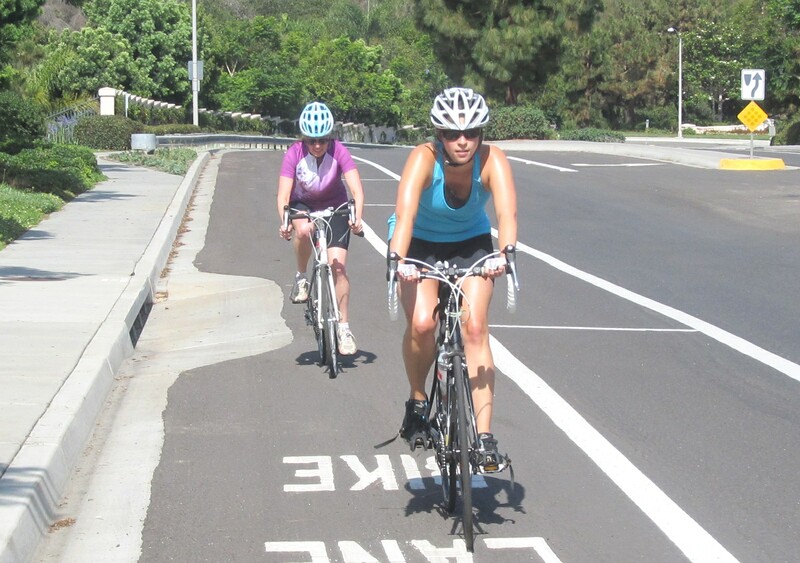 By the time we got to Aviara Pkwy, though, it became clear that our small chain-rings were in needed of some more quality biking time. Luckily for us, Heather B had obviously anticipated our needs and routed us back to the coast via Ambrosia and then Poinsettia Drs. By the top of the last little climb to the Coast Hwy my hill-induced amnesia was firmly diagnosed by all and none would believe me any longer when I’d turn around and assure the group that we were scaling the last knoll of the day. 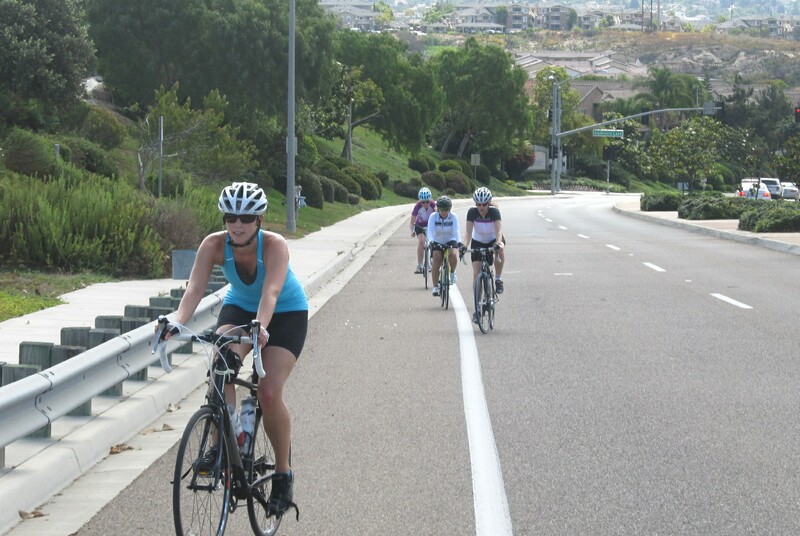 More climbing to the coast on Poinsettia Dr. But I’m afraid I’m a bit of a liar… as the gals found out. By the time we finished all the clouds had been blown away by gusting onshore wind and the sky was bright blue and everyone was heading for the ocean! It was a brilliant day that was made even better with amazing company on the bike. Thanks to all for coming! Double Peak, here we come! 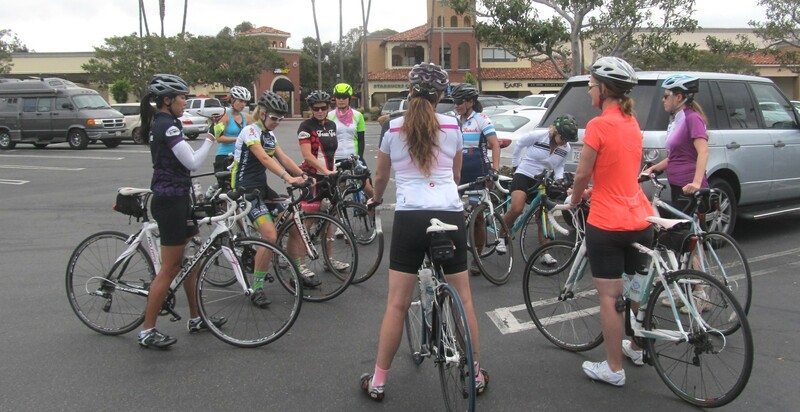 Next Saturday (July 18th) is the start of the annual Rapha Rising Challenge. 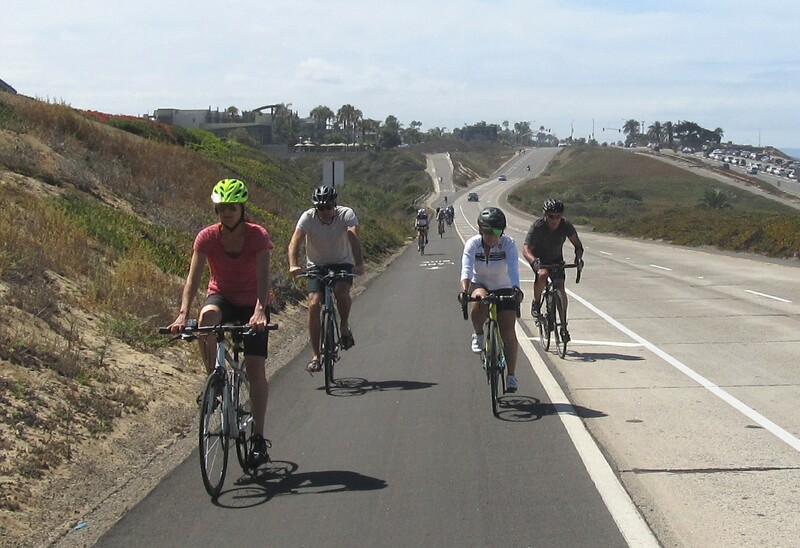 Come out and join us for either a relatively normal mellow-pace ride on the low-traffic backroads of Encinitas or a hill-mania tour of coastal North County’s (in)famous climbs. 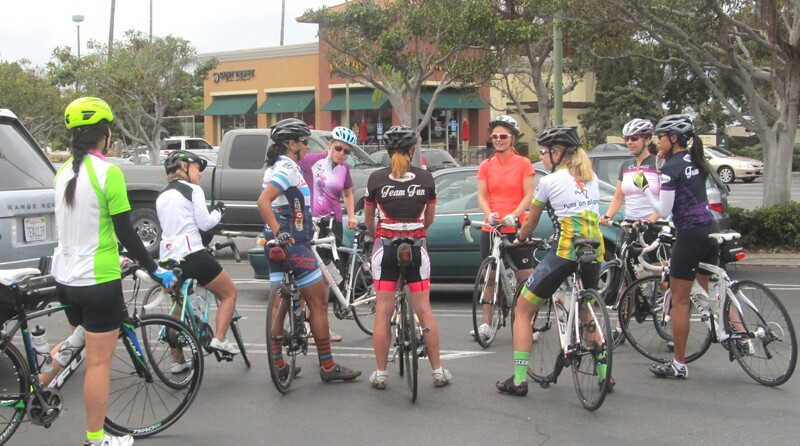 Both rides will start at Java Depot on the Coast Hwy in Solana Beach at 8 a.m.